The plumbing system in your home could be a costly area when repairs are needed. Here is a list of common plumbing issues and what you can do to avoid them. For homeowners, the matter of maintenance is one that never ends. To completely keep up with all the working components in your home you should keep an eye on how everything functions, especially your plumbing. The plumbing system in your home could be a costly area when repairs are needed. Here is a list of common plumbing issues and what you can do to avoid them. The drains in your plumbing system are mainly designed for the passage of liquids. But sometimes, especially in the kitchen, other items will cause clogs, which can be a tricky problem to address. Avoid clogged drains by effectively using your garbage disposal and other sink strainers. Faucets that drip or have a continuous leak are a waste of water and money. Periodically (maybe at the start of each season) do an inspection of the washers that seal your pipes to ensure that they are properly tightened and not damaged. One of the most anxiety-inducing plumbing issues you may face is flushing the toilet and seeing the bowl continue to fill. Whether it’s a result of kids with toys or using products that aren’t safe to be flushed, this issue could be costly and mean that you don’t have access to your facilities at home. Keep the area around your toilet clear of your accessories and make sure to read the label on all products before you flush. The exact opposite of an overflowing toilet is one that continues to run. A running toilet could be a sign of a leak and you can avoid this plumbing issue by regularly checking your fill valve and the water level in your tank to ensure that all components are functioning properly and in the correct positions. A nuisance to all homeowners is low water pressure. 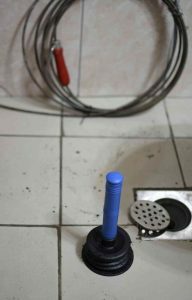 This is one plumbing issue that could have a source inside your home or one that involves the municipality in which you live. Inside your home, you can help avoid this issue by maintaining a lower number of appliances and fixtures. Leaking pipes could be a main issue that will eventually lead to more expensive plumbing problems in the future, including moisture and flood damage. Your pipes require regular inspection and maintenance, especially before the beginning of the winter season. Trying to load too many pipes or fixtures into one space is not a good idea. It makes maintaining and repairing your system much more difficult as you or professionals will not be able to successfully reach every area or effectively use tools. When purchasing or building a home, make sure that the actual space that will house your plumbing is conducive to a fully functional system. This entry was posted on Friday, September 15th, 2017 at 3:40 pm. Both comments and pings are currently closed.